Eyes swell in many women, especially in the morning. This happens for various reasons: heart and kidney disease, malnutrition and day regimen, lack of vitamins and trace elements, allergies, etc. If the eyes swell regularly, it is better to see a doctor. 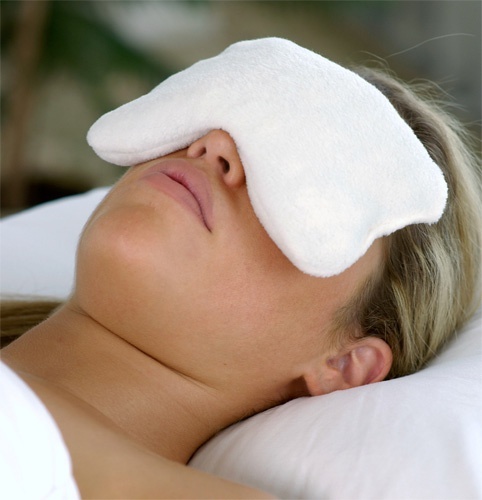 However, to remove the edema of the eyelids, there are methods that can be used independently. First of all pay attention to how much you eat salt. After all, her excess is delayed in organism liquid, and this, in turn, leads to edema of the eyes. In a day you can not eat more than 3 g salt. Also better to stop eating canned food and smoked meat, they also violate the withdrawal of liquid from body. Lean on watermelons, apples, carrots, lemons, oranges and other citrus fruits. They help to drain water, improve metabolism. If your eyelids swell too often, you should try to go to diuretics. Well drained liquid from the body infusions of many herbs. For example, you can try using such a recipe: take 1 a tablespoon of bear ears. This herb is sold in pharmacies. Fill it with 1 a glass of boiling water, close the lid tightly and leave to infuse for 2 hours. Then strain and take infusion of 1 tablespoon 3-4 times a day. Drink the grass before eating. Infusion will not only help with swelling of the eyes, but also with swelling of the entire face. He is also an excellent antiseptic. From edema on centuries good helps Mask from raw potatoes. Grate a small potato on the grater and lay the resulting gruel into two pieces of gauze. Wrap, then simultaneously attach both resulting pouch to the eyelids. Keep 5-10 minutes. Swelling should fall. You can use to remove the swelling from the eyes of ordinary tea bags. They should also be applied to the eyelids and held. An ice cube is also an excellent tool. Ice can be делать not only from water, but also from infusions parsley, chamomile, tea, etc.